If we could eat healthy, nutritious and delicious food without harming others, why wouldn’t we? More and more people are waking up to a better way of living, one that is kinder to animals and more in sync with the planet, gentler on the mind and better for our health. 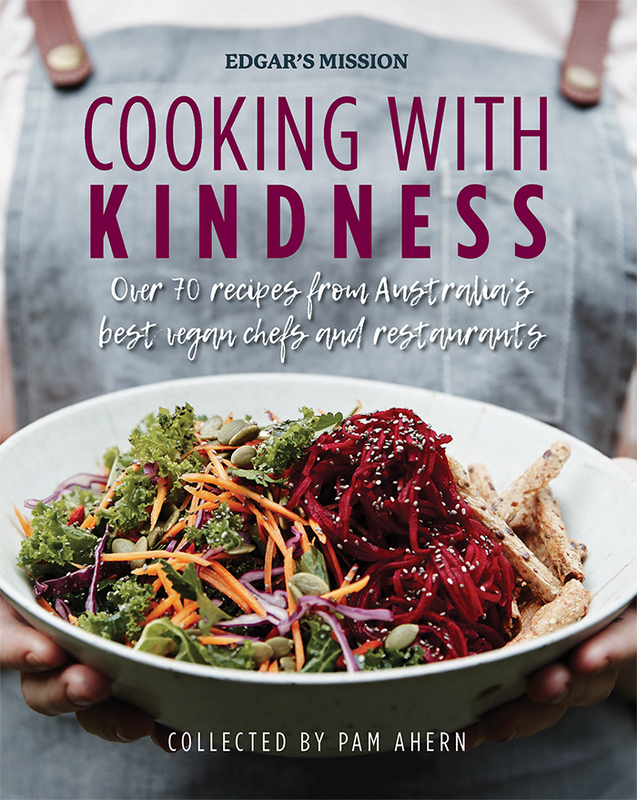 Here, 50 generous chefs from around Australia share their secret recipes for cruelty-free cooking, from breakfast bowls and pancakes to vegan ‘comfort food’, mains and decadent desserts. Featuring Matcha Mylkbar, Vegie Bar, Smith & Daughters, Transformer, Soul Burger, Elixiba, Pana Chocolate, The Raw Kitchen and many more. All royalties from the sale of Cooking with Kindness go to Edgar’s Mission, a not-for-profit sanctuary that provides a safe haven for over 450 rescued farmed animals.